SELL MY HOUSE FAST TO FAST PROPERTY BUYER NOW! 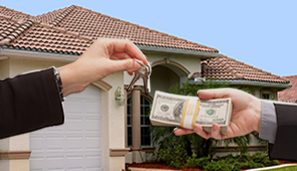 We Buy Houses Los Angeles Quickly – Professional House Buying Company Buys Houses Fast for Cash in any Condition or Situation. Over 30 Years of Experience. Houses in Probate, Inherited Houses, Hoarder Houses Houses in Foreclosure, Fixer Upper Houses, Distressed House, Abandoned Houses, Condos and Commercial Property throughout California for Cash in any Condition. We Buy Houses on the streets of Los Angeles, We Buy Houses in the neighborhoods San Diego, and We Buy Houses in Sacramento. FastPropertyBuyer.com specializes in Buying Houses and other types of real property FAST for CASH throughout California. It’s Simple and Hassle Free to Sell Any House Fast to FastPropertyBuyer.com. Get Started Now by calling 888-998-3278 or Click Here to Sell Your House Fast! FastPropertyBuyer.com real estate investors have 30 years of experience in buying all types of Real Estate in any condition. We have invested over $250 million in California, Nevada and Arizona Real Estate. Now we are buying houses Nationwide. We have bought and sold over 1200 properties and plan to continue with our acquisitions Nationwide. No Commissions, No Agents, No Fees. We are NOT interested in listing your home. We are NOT a Nationwide Franchisee. We BUY houses FAST and want to BUY your house now! We pay all cash, and will close escrow when you’re ready. As quick as 7 days or as long as 120 days. 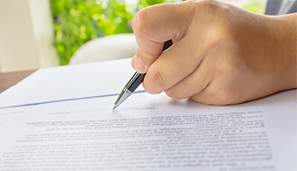 You decide and we will take care of all the paperwork through a third-party Title/Escrow Company located close to you. Working with the experienced professionals at FastPropertyBuyer.com will be completely stress free, confidential and fast. FastPropertyBuyer.com is an independent fully licensed professional real estate investment company with its own CASH for California, Nevada and Arizona properties. We will close escrow as quickly as possible, occasionally within 7 days; or take your time. It’s up to you! To Sell Your House Now Click Here! It’s Simple and Hassle Free!